As a competent, versatile session musician, I can provide drums, bass, percussion, backing vocals and more to your recording. In addition, I use Native Instruments Komplete 10 Software and have access to hundreds of impeccable sounding instruments. Need a Harpsichord for that Middle 8 or a fiddle for that solo; how about a trumpet ensemble for that chorus, or an overall sonic texture in the background… it’s all available. In addition to ‘virtual’, I also of course have beautiful sounding ‘real’ instruments: Martin acoustic, Fender Telecaster and Precision bass, a full 88-key Roland keyboard with hammer action and more. Even if you don’t have a band, your songs can be fully produced to sound like they were recorded with one. It’s all about what serves the song, and your satisfaction with the recording product AND process is my #1 goal. The role of a music producer is obviously a crucial one, and I am entirely flexible when it comes to that role regarding your music. 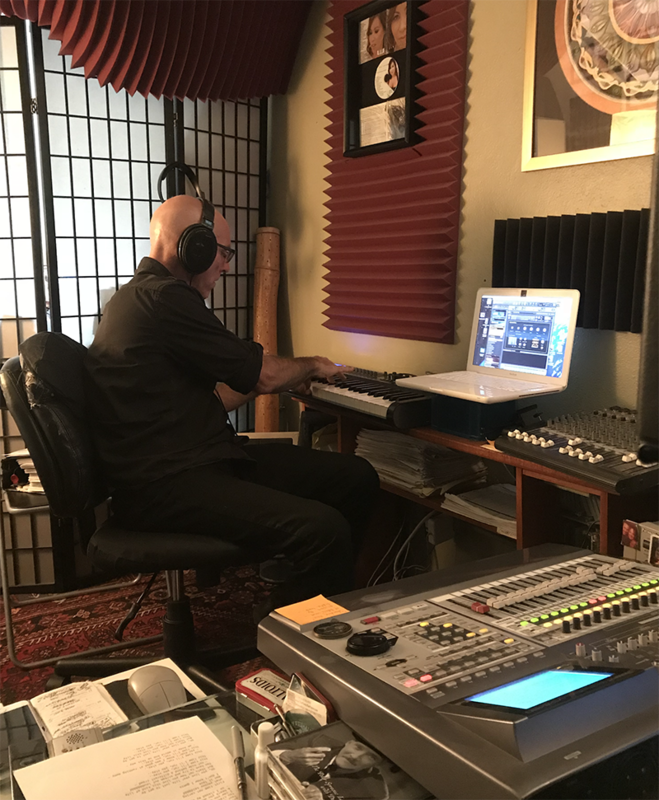 You may hear exactly how you want your song to sound, and only need me to translate the sounds you hear in your head onto tape. Some artists act as their own producers (whether or not they have the engineering skills), so they turn to me to handle the technical side. Others are happy to hand over the production duties to me, and know that their project is in good hands at JCB Music. Get the musical experience you’ve been looking for and end up with a beautiful recording that does your music justice.